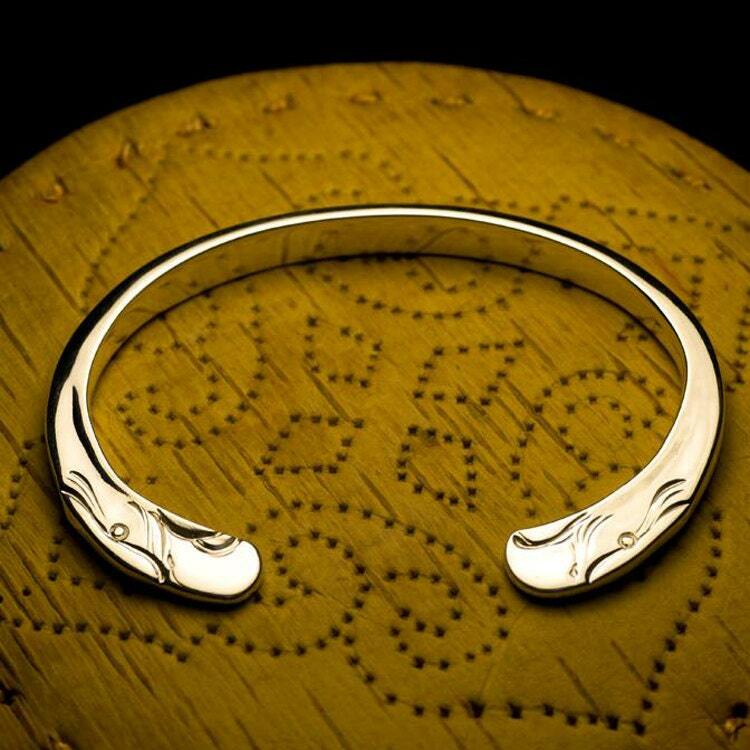 The eagle head bangle is an open silver bangle, with subtle eagle head carved at the two end. 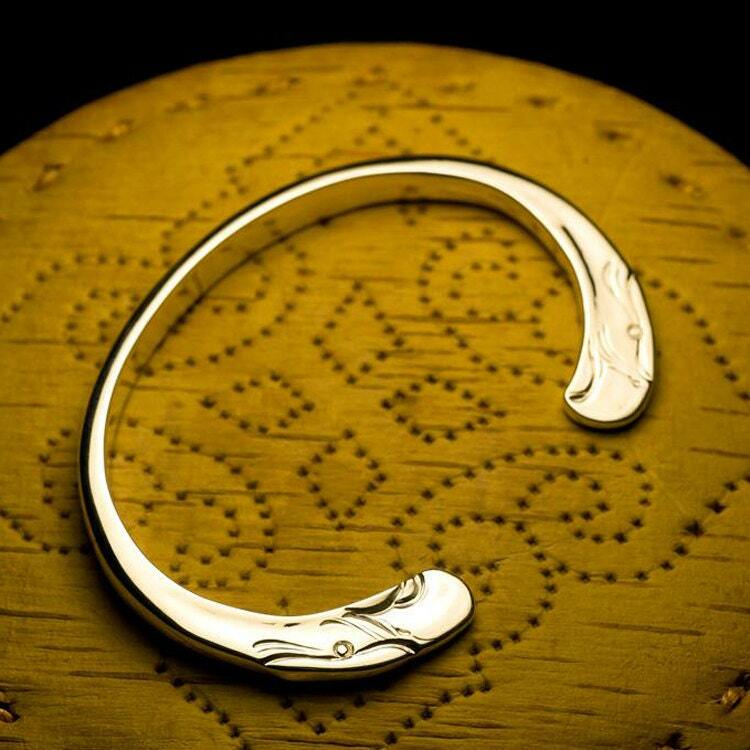 Crafted from 950 sterling silver, the bangle is solid and smooth - its ends slightly flattened - where the eagle head pattern is carved on it. The design is inspired from Navajo Indian motifs, where the eagle is a symbol of wisdom and courage. 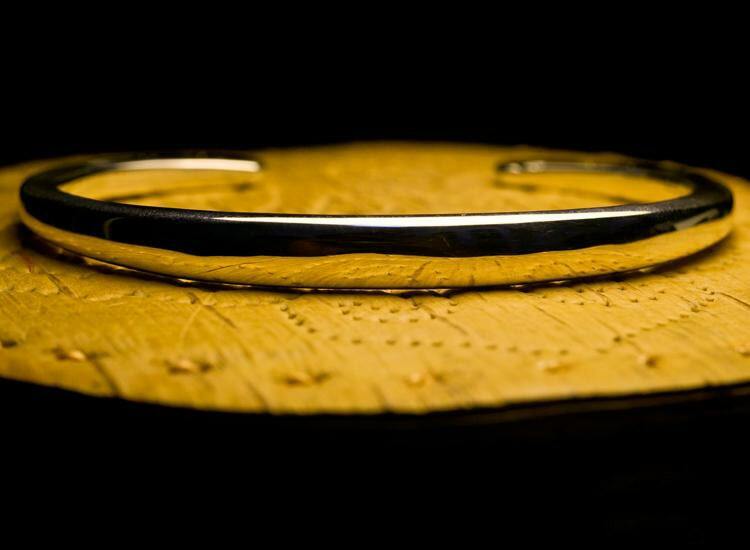 The open design of the bangle means that the bangle is slightly adjustable - you can make it fit your wrists better. But the 950 sterling silver is pretty soft, and repeated bending may stress the silver bangle at some points, and it may break apart. 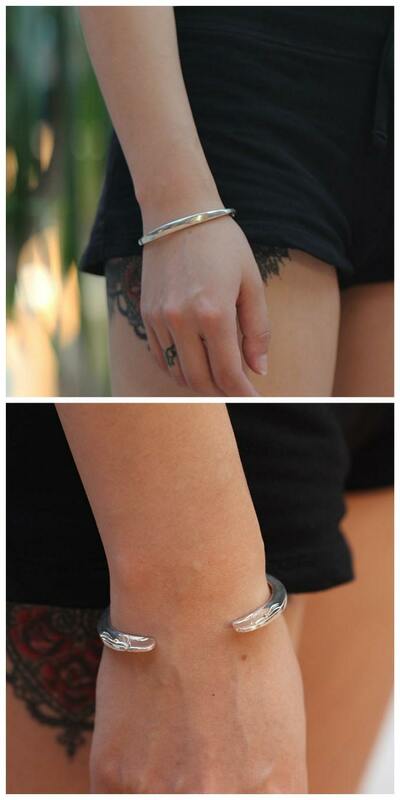 To prevent this, just measure your wrist carefully when ordering, and choose the correct size. 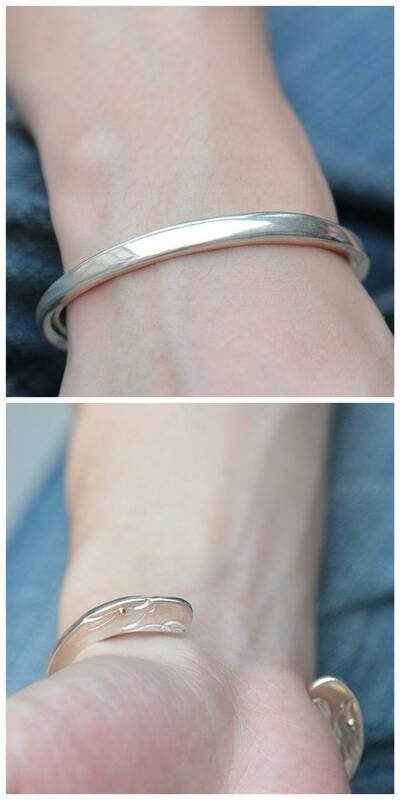 Width of bangle (mid section): 6.4mm/0.25inch. Thickness: 2.5-3mm/0.1-0.12inch. Width of Eagle Head Part: 6mm/0.24inch. Thickness: 2.0mm/0.08inch.